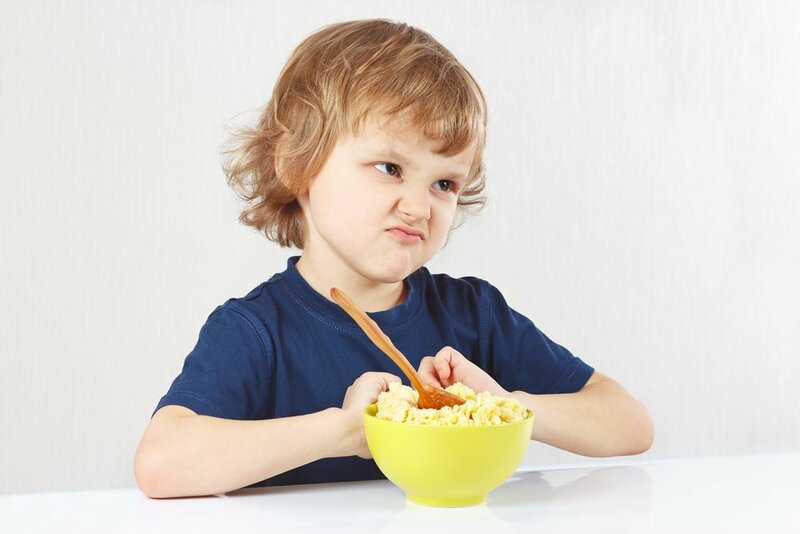 A lot of children are picky when it comes to eating. If you are going through this, we have good news -it is totally normal! As long as your baby continues to develop at a healthy rate and is happy, there is not much to worry about. In fact, after the first year growth slows and children don’t require as much food. Furthermore, the cognitive and physical development children experience makes them more interested in playing and exploring, and less interested in sitting down and eating. One of the reasons why children get fussy and deny eating is because they seek independence, and refusing food gives them a sense of choice. Children want to choose what and how much they eat, and they don’t always have an appetite, so sometimes they eat very well and other days they seem to eat nothing. Now, we must respect their choice to eat or not, but remember that only you have control over what food you offer and at what time. It is important to offer healthy choices at mealtime and keep presenting new options often because it can take from 10 to 15 exposures of the same food to get a child to like it or even try it. Moreover, when it comes to offering new options remember to present them in small quantities along with familiar food that you know your little one likes. Now, not all children are the same, there may be different reasons why they don’t want to eat or try new foods. With this in mind, in this article we present different profiles of children who refuse to eat and tips on how to feed them. Present healthy food choices together with food that you already know he likes. Gradually offer your baby new food, keeping in mind that it can take several exposures before he tastes the food. Pay attention to the food and textures that bother your little one and try to serve the same food with different preparation next time. Serve new food along with the food that your child already likes. Encourage him to touch, smell, or try new foods. Resist the urge to prepare special food for your little one, but make sure that in every meal there is something that he likes. Always try to give him what the rest of the family is eating but in small portions. Offer him healthy dips like natural yogurt, hummus, ketchup, peanut butter, or dressing to motivate your child to eat fruits and vegetables. Get your child involved in the simple aspects of cooking so that food interests him and gets his attention. Remember to gradually expose him to new food and stay calm if your little one doesn’t want to taste it. Let your little one handle the cutlery even if he doesn’t have good hand-eye coordination yet. Ask your child how he wants food to be served in his plate. Don’t sit your little one down until the meal is ready and his plate is set. Try to make each meal brief. During snack times, give him healthy and easy-to-eat options while he plays. Remember that snack portions must be small. For example, proteins have to be the size of your kid’s palm, and any other foods can be sized by one or two spoonfuls. Take into account these profiles and try different techniques to make sure your child is getting all the nutrients he needs. Also, it is very important to remain calm in any situation and don’t force your little one to eat, or use dessert as a prize or punishment. You control what he eats and when. Remember that many kids go through this; this stage is a result of many factors such as a decrease in children’s growth, temperament, food presentation, and even genetics. As long as your son is growing appropriately and your pediatrician verifies he is healthy, try to keep a meal schedule that he likes and don’t show him any frustration. Let him see you eat and show a positive attitude towards food.